Here at the V&A Museum of Childhood we always think about how to work more sustainably. All our temporary exhibitions utilise a reusable walling system and recycled display cases, which is common practice within the sector. However, our latest exhibition, A Pirate’s Life for Me, has taken this to the next level and is possibly our most eco-friendly exhibition to date! 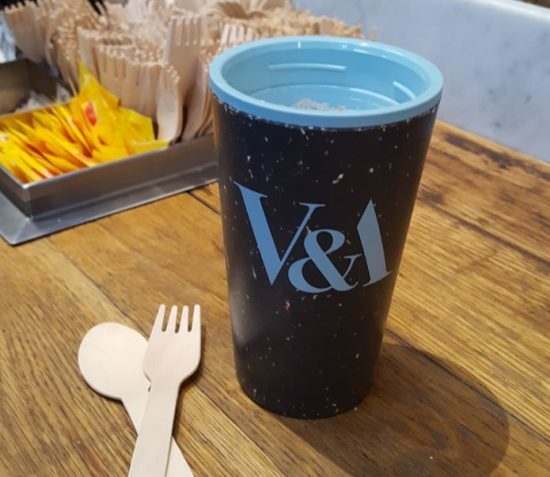 The whole V&A has taken huge steps over the last few years on our journey to becoming a greener institution. We no longer offer plastic cutlery or straws in any of the cafes. Staff have been given reusable coffee cups for their early morning caffeine fix. We turn off our lights for Earth Hour and have ‘Green Champions’ scattered throughout departments. However, there’s always more that can be done. 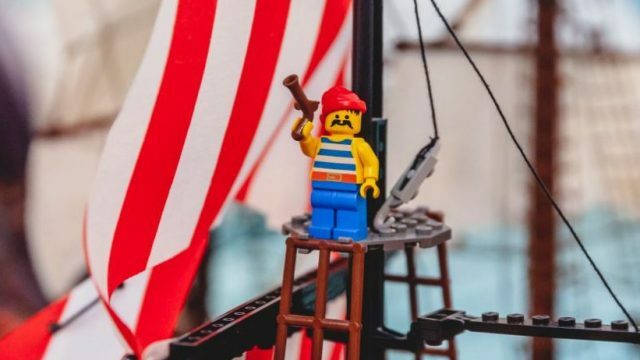 Developing A Pirate’s Life for Me with a significant green footprint has been a highly collaborative process, and a cross-site, multi-department effort. The story begins with the brilliant Plywood: Material of the Modern World exhibition at the South Kensington site. Although impressed by all the wonderful objects in the exhibition, the Pirates crew was particularly taken with a pyramid of unassuming plywood tea chests, which we thought would look great atop our pirate ship, ‘The Deathly Scallywag’. We saw more opportunities to recycle after visiting Winnie the Pooh: Exploring A Classic. Working alongside the Pooh exhibition team we reused lighting, seating, build objects and other smaller props. Where they had built a Pooh Sticks bridge, we imagined a quayside, and when we watched children crawling inside Eeyore’s Hut, we saw a pirate hide-out for our desert island. Our wonderful build team, along with some talented scenic painters, repainted and repurposed until the items were unrecognisable – giving everything a new lease of life. We also recycled large props from a previous Museum of Childhood exhibition which had recently returned from tour. After a quick wipe down and a lick of paint, tables, benches and fireplaces looked as good as new. Reusing exhibition materials is not a new or innovative practice and many museums across the country rely on this recycling process in order to sustain their exhibition programmes. There is great work being done elsewhere, and on a much larger scale, but there is still a huge problem with waste within the heritage sector. Temporary exhibition materials are often regarded as having a short shelf life, and sometimes it can be easier to start again rather than patch things up. Some of our other green practices at the Museum of Childhood are easily transferable (if anyone is feeling inspired!). We work with local scrap projects who take away a lot of our unused materials. 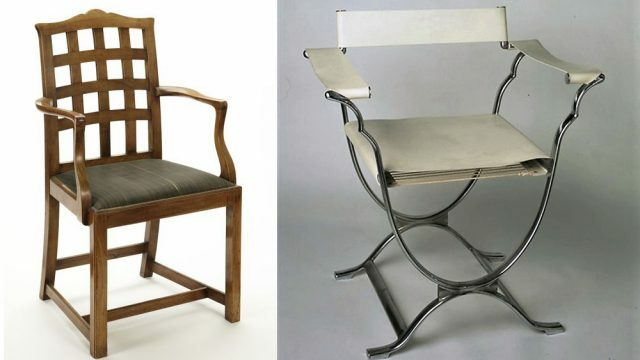 Unwanted museum items such as display cases, furniture, and walling systems get put onto Museum Freecycle and offered to other venues across the country. We work with local artists who need materials, donate saleable items to charity, and give stuff to schools rather than to skips. These small acts have quite a big impact on the working process, and help build our relationships with local charities and organisations. It’s a win-win scenario. With each exhibition we are hopefully getting better, moving towards a more sustainable way of working. The V&A has a responsibility and desire to continue to improve our practice – so watch this space for more from us in the future. 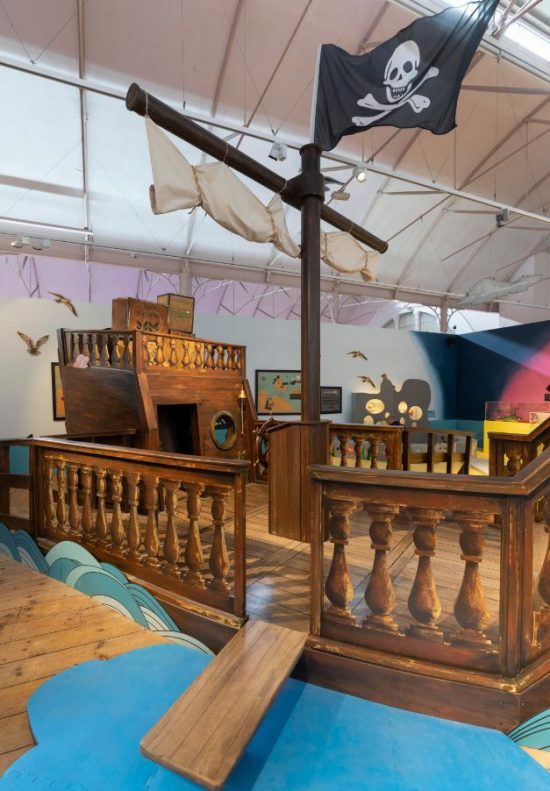 A Pirate’s Life for Me is open at the V&A Museum of Childhood until 22 April 2019.